Black Baker: Hot Cross Buns with Fluffy Cream Filling. This is my first Easter bake and I'm so happy about it! 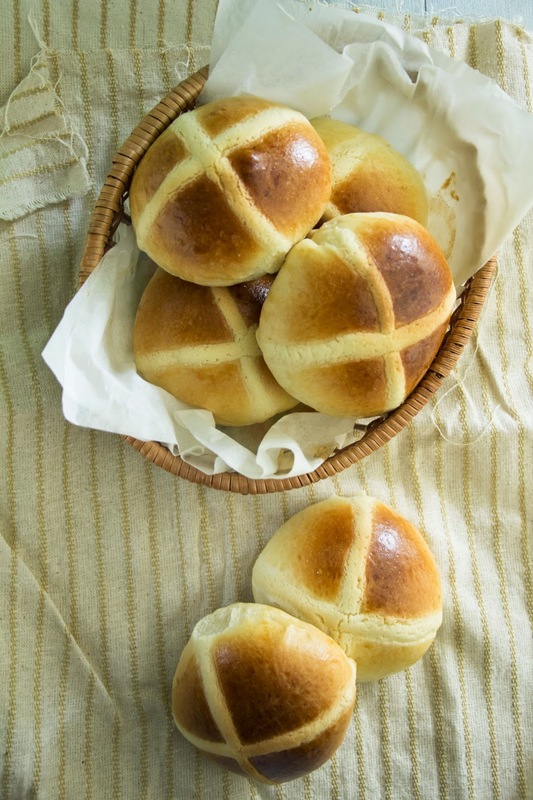 These hot cross buns are super soft and yummy. 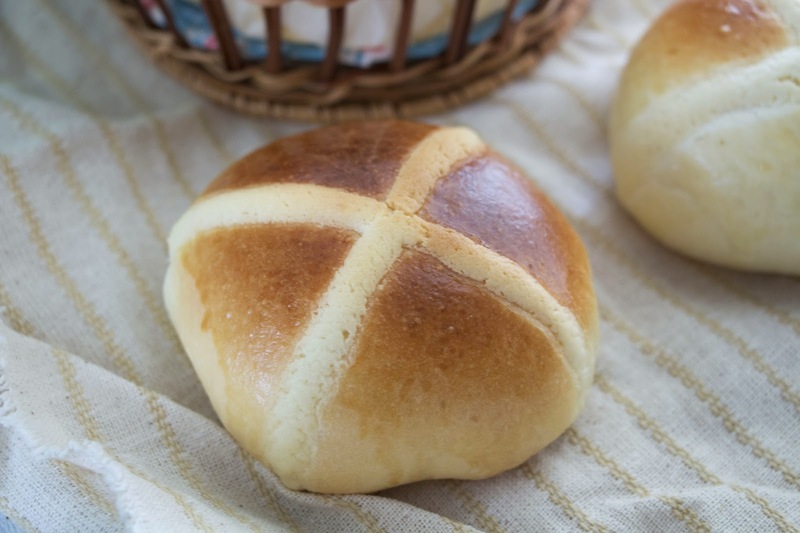 But I love the buns with cross. I nearly forgotten that Friday is a public holiday in Singapore. What a blur I am. 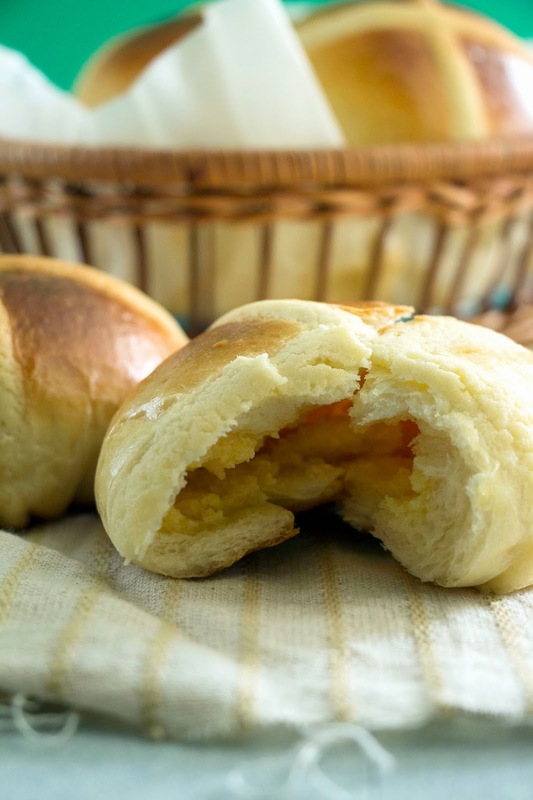 Fresh baked buns are the best. I always feel excited when I bake bread. Mix all dry ingredients together in a large bowl. Stir till combined. Add in milk, egg and butter. Using a pastry scrapper, combine to form into a dough. Place the dough on a LIGHTLY floured work surface and knead the dough for about 15 to 20 minutes. Dough will be sticky but do not add more flour if not your bread will turn out dense. To check if you dough is fully developed, you may pull out a small piece of your dough and stretch it with your fingers. If you are able to stretch it thinly without tearing easily, it means you have kneaded enough. Place the dough in a bowl drizzle with abit of oil and cover the dough with cling wrap. Let it rise in a warm place, about 1 1/2 to 2 hours, or until double in size. While waiting, prepare the filling and paste topping. Cream softened butter and sugar together till fluffy. Mix in the beaten egg, mix again. Divide into 8 portions equally. Mix sugar with melted butter. Mix in egg, then flour. Back to the dough, don't forget. Take the dough out of the bowl and punch out excess gas produced. Divide dough in 8 equal portions and let them rest for 15 minutes. Take out one of the dough and roll out with a rolling pin into a flat disc with edges thinner then the centre. Scoop the filling to the middle of the dough disc and wrap up the dough. Repeat the other 7 doughs. Cover the dough again and let rise for another 45 minutes to 1 hour or until doubled in size. 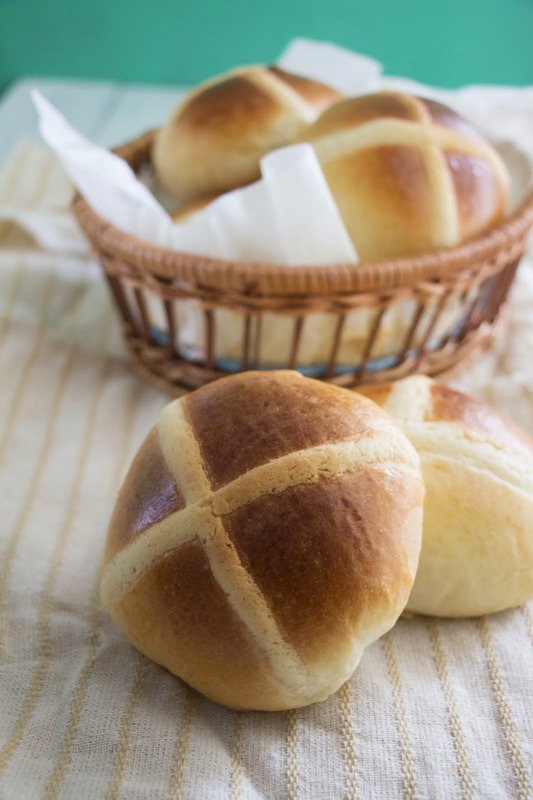 10 minutes before baking, brush buns with egg wash and pipe a cross on the buns with the mexican paste. Bake in oven for about 12 to 15 minutes or until golden brown.